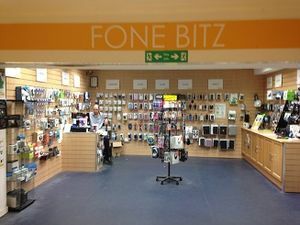 Fone Bitz sell an assortment of mobile products across the motorway network. They used to serve town centres and railway stations but these have now closed to focus on motorway services. Their stores come in a variety of shapes and sizes, some are very small whereas others are much larger. By focusing mainly on phones, they managed to survive where other technology suppliers struggled. Top Gift have now joined them in supplying phone products on the motorway.